A legendary live album is now twice as good. 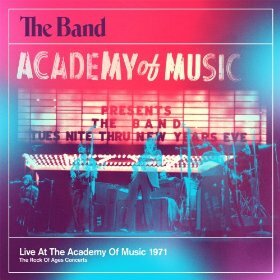 The Band’s Live at the Academy of Music 1971 box set now includes two discs of remixed and unreleased performances – more than 80 songs – plus essays, candid photos and archival film clips. The vocals are cleaner and the horns are sharper, enhancing the group’s rustic musical magic. Among the unreleased material, Manuel’s melancholy lead for “Rockin’ Chair” shows why Helm and Rick Danko considered him the group’s best vocalist. Helm charges through “Smoke Signal,” a paranoid, allegorical gem deftly comparing society to the struggle between soldiers and Indians. There’s a reason they could get away with calling themselves “The Band.” They were – and are – that good.